Python has been around for quite some time and we can say without a shred of a doubt that it is one of the most popular programming languages today. In fact, it has been the #1 coding language for the last five years. It is the developers’ favorite for many reasons, most of all its readability and efficiency. When compared to other languages such as PHP, Java, or C++, we can say that Python web development is easier to learn which makes a better choice for beginners. However, that doesn’t mean it won’t get the job done just as well. There are those who believe Python development is a bit old-fashioned considering it has been around since the late ‘80s, but the thing is – it has survived for so long because it works. And it has reached the peak of its popularity with the introduction of Python 2.0 which brought numerous improvements. So why change it if it works? If you aren’t sure why you should try Python, let’s start by taking a look at the best Python advantages. We cannot stress this enough so let’s start by explaining how easy Python web programming actually is. Ask any developer which programming language was easiest to learn and they will all tell you the same thing. But is Python worth learning? ABSOLUTELY! When you compare Python to some other programming languages, it might seem like Python was designed for beginners. However, that is not necessarily the truth. Of course, it is perfect for first-time developers but that doesn’t mean the advanced users don’t use Python for web development. What is Python good for? Well, basically everything the other, more complicated programming languages are good for too – just way simpler. One of the main advantages of Python is its reliance on whitespace and common expressions which allow you to do a lot more with a lot less code compared to, for example, C++ or Java. Since development is no easy task, why not make it at least a little bit simpler by using Python for website development? Note: If you think you already know all there is to know about Python web, maybe you could consider learning more about Django programming to expand your knowledge and make yourself more marketable. Python web development quite simple because you can easily achieve more functions with fewer lines of code. Basically, if you know the basics, you could build a rudimentary game in 2 days no problem. Web development with Python is particularly popular among rookies because of its readability and efficiency. If you are a first-time developer with almost no coding knowledge, you could watch a simple Python web development tutorial and you would be good to start. The best thing about that is that Python is a great stepping stone to learning other code. So how useful is Python? Very useful indeed. Not only can you use it for all your web development projects but it can also help you learn the concepts of the languages grounded on similar principles, allowing you to focus on their syntax. While the majority of programming languages aren’t exactly forgiving of mistakes, that is not the case with Python. Python web development is easy not only because of its amazing readability but also because the code doesn’t break when minor mistakes occur. So why was Python created? We already know that it takes a lot less time to build something with Python than with most other programming languages simply because it takes fewer lines of the code. With that in mind, when you need to build ideas and prototypes quickly, Python is definitely the way to go. 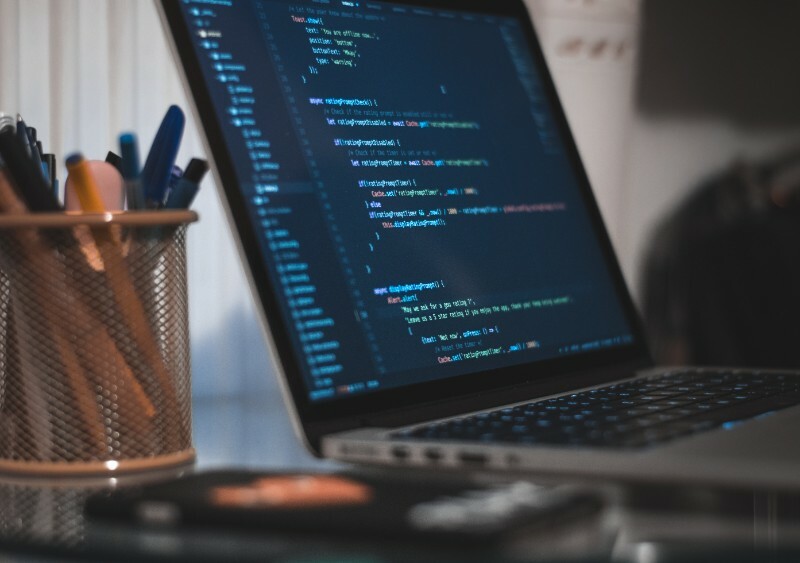 When the developers choose the programming language for their upcoming projects, they usually go with what they feel most comfortable with, which ultimately comes down to their own preferences and expertise. However, if you need a product fast and on a budget, web development in Python is the way to go. Python is perfect for startups and bootstrappers not only because it makes everything quicker and easier. Python web development in combination with platforms such as Raspberry Pi allows developers to build their own devices such as phones, cameras, radios, games etc. through Python. 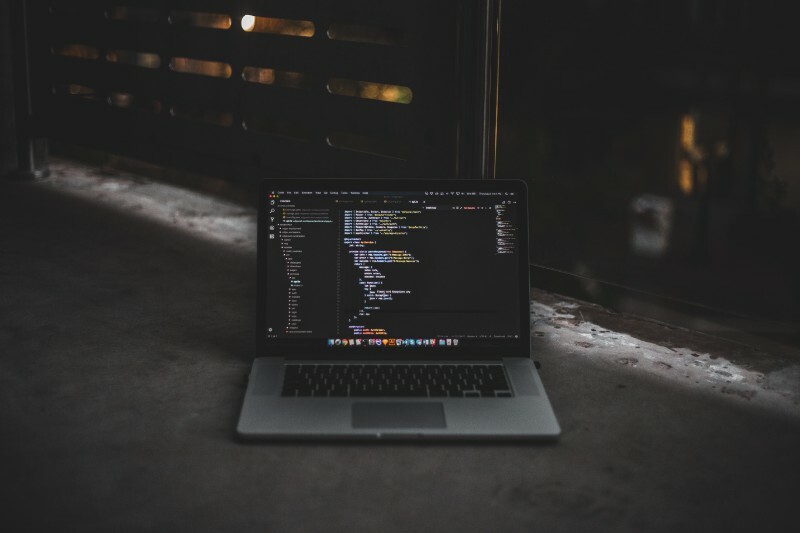 Building new gadgets with the advanced Python programming concepts and connecting them with the real world markets is not only much easier but it is also relatively cheap. Considering Python’s affinity for scale, it isn’t too much of a surprise it’s the core language in many ‘blue chip’ sites and services such as Dropbox, YouTube, Instagram, PayPal, eBay, Yelp, Reddit, Disqus, and games like EVE Online and Second Life among others. 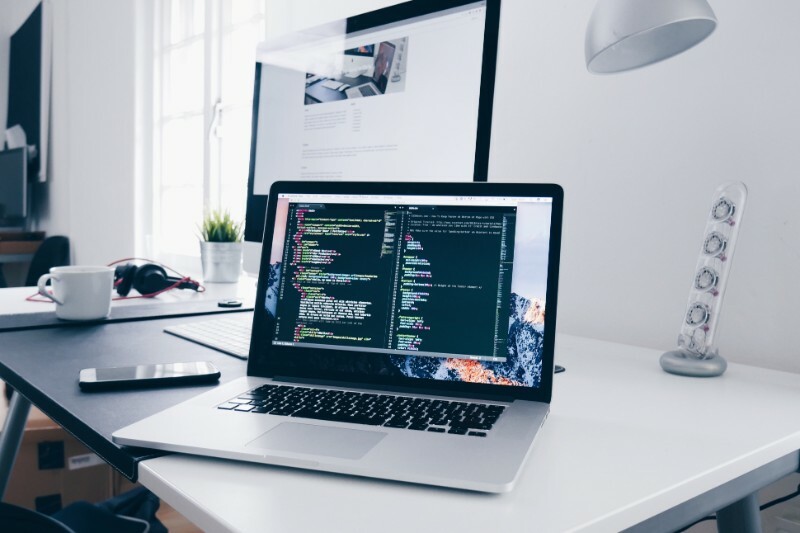 In the terms of Python web development, this simply means that mastering Python with its most popular frameworks makes it easier for you to find work or even build your own service and/or product as a startup. Another amazing Python advantage is how flexible Python web programming is thanks to all the amazing frameworks that make Python web development quick and easy. For example, you can turn to frameworks like Django or Flask and focus on writing the app or site rather than get bogged down by tedious legwork. A framework is basically a bundle of packages and modules that provide certain functionality and can be selectively changed to create application-specific software. When it comes to Python, there are so many robust frameworks available, every web developer will find something they need for their work. So how do you choose the right framework? For full-fledged web applications, Django and Pyramid are the way to go. For better control and visualization or prototyping an app, Web2py or Flask might be the way to yo. CheeryPy is a must for simple, minimalist solutions. Tornado will handle 10,000 or more concurrent connections to your app at the same time while Dash is the perfect choice for analytical applications. So let’s take a closer look at the 3 most popular Python frameworks and what they have to offer. Python web development with Django is easy and effective, defined as “the web framework for perfectionists with deadlines. What is Django used for? Well, Django language comes with a variety of useful features that allow for a huge range of web apps including GPS solution, database apps, chatbots, and more. Django web development follows an awesome DRY (Don’t Repeat Yourself) philosophy which promotes the reuse of code making the Django coding faster and easier than ever. In addition to that, its modular/decoupled architecture allows seamless modification of the code components, allowing you to add or remove components in any way you see fit. Furthermore, Django development comes with Object-Relational Mapping (ORM), which allows it to work with several databases at once while it also makes it highly compatible with most of the popular databases such as Oracle and SQL. Pyramid framework defines itself as “not too small, not too big, just right”. It allows you to code a solid foundation for your solution to scale it up as needed. Just like Django, it is compatible with both small and large apps but the difference is in its complexity. Pyramid really stands out thanks to its amazing plugin system that allows the developers to use whichever plugin they need. This is a great way of implementing multiple solutions for a given task. In addition to that, Pyramid is great for single-file applications, flexible authentication, and authorization or apps oriented to view predicates. While there are many similarities between Django and Pyramid, Flask works a little bit differently. Basically, it is much simpler, very customizable, and easily manageable. If you are a complete beginner, Flask would be the way to go. Flask is heavily based on Jinja 2 templating and the Werkzeug WSGI (Web Server Gateway Interface) toolkit. It is defined as microframework and made specifically for small-scale solutions such as simple apps and APIs with the lean functionality being a no1 priority. There are many programming languages out there and even more frameworks to choose from. Picking the right one is no easy task but there are several reasons why we would recommend Python in web development. Companies such as Bitbucket, Instagram, Dropbox, Pinterest, and others use Python frameworks like Django and Pyramid in their app development. These frameworks will handle almost everything you throw at them and that is a part of the reason why Python web development is so popular. An average developer doesn’t want to dig deep into every single detail and how it works when developing an app. The above-mentioned frameworks will take care of that and that is why we recommend Python web development for beginners as well as for the advanced users. It’s been said before: Time is money. You want to save as much time as possible whenever possible to focus on more important things rather than on the details that a simple framework can easily solve for you. Website development with Python is fast and easy and it is perfect for building simple prototypes or projects on a budget with short deadlines. When you build something from scratch on your own, one of the major concerns is handling the security. With the good web framework, however, you don’t have to worry about that because there has been a lot of work put into preventing any misuse of the web application. Whenever you scale your website by adding new components or using new databases, you want to make sure the website will scale properly. Unfortunately, with the sites built from scratch, that is often not the case. A good framework, on the other hand, is built to ensure scalability from the very beginning of the development process. Fun fact: Disqus, a popular blog comment hosting service, has more than eight billion page views and 45K request per second through Python framework Django. Understanding the basics if important before you start working with the framework. Not only should you be comfortable with the fundamentals of Python, but you should also have some basic knowledge of HTML and JS. Modern web development is not possible without them so try not to think Python vs HTML; instead think Python + HTML. Considering the fact that the frameworks such as Djangoare based on MVC while Flask uses Jinja2 templating engine, it is always better to how these architectures actually work. Take things step by step rather than rushing into creating full-fledged heavy web apps. Just like with anything in life, with the Python web development, practice makes perfect. Start by building a simple to-do list. It will help you understand how CRUD functionalities and basic HTTP requests are handled by the framework of your choice. You will better understand how the framework works and how to use it. If you are a new web developer, you should know there is a LOT of debugging in the store for you.Exceptions and bugs are programmer’s best friends and the earlier you learn how the debugging capabilities of the framework work, the better. You need to understand how a code behaves in different situations and how the exceptions work. Use IDEs like PyCharm that makes your life a lot easier with its smart IntelliSense, debugging capabilities and code optimization tips. Don’t waste time recreating the wheel; instead, focus on the output for achieving the best results. Most of the utilities you need for database connection (SQLAlchemy), scientific computations (SciPy) and web scraping (BeautifulSoup) are already implemented and used by many so take advantage of that. That being said, get familiar with Python’s core modules before you go for external integration. A wide array of features is supported by Python’s utility functions and object methods. In addition to that, with Python’s internal tools, you can easily take care of manipulations such as mapping, filtering, and string encoding. While Python comes with many pros, we have to admit that there are certain cons worth mentioning. 1. Fewer seasoned developers compared to other languages such as Java. 2. It lacks true multiprocessor support. 3. Slower in performance than other languages. 4. Not the best language for mobile applications and memory intensive tasks. 6. Concurrency and parallelism are not designed in the language for super-elegant use. 7. Python’s one-line functions (Lambdas) feel quite limited when it comes to metaprogramming of the sort popular in LISP. Web development using Python has been very popular for years – and for all the right reasons. Not only is it a perfect language for beginners but it can also serve you as stepping stone for learning more complicated languages. Python web development is something every developer should give a try. Learning it is a piece of cake while the benefits of learning Python are amazing, especially when it comes to working on a short deadline and/or on a budget. It comes with a number of useful frameworks and other features, it is very safe and secure, and if you ever encounter an issue or two, Python’s active community and the huge library will help you get through it.